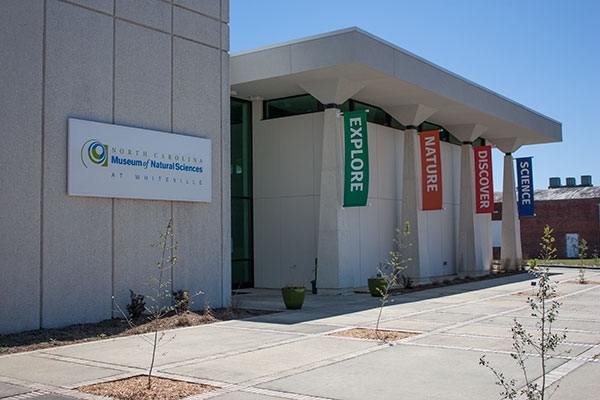 Student programs at the Museum of Natural Sciences at Whiteville in Columbus County, NC, are offered to Kindergarten – 5th grade students. These programs are available October through June. Step 2: Scheduling for the 2016-2017 school year begins Thursday, August 18, 2016. You must register for programs at least four weeks in advance of your group’s visit. To schedule a program at our Whiteville Branch, please contact Kellie Lewis at 910.914.4185. Explore, discover and learn at your own pace with a free self-guided experience. To schedule your visit date and time please contact the Museum at Whiteville at 910.914.4185 or Kellie Lewis. Give us a first and second choice for your field trip date as well as your name, school, school address, grade level, class number and students per class. Be sure to include a phone number and email address so we can contact you. *For public programs, workshops and events please see our Whiteville Programs and Events.